This log includes information about the two executions scheduled for next week, 09/17/12-09/23/12. Here are copies of the e-mails I sent to people in states with scheduled executions asking them to intervene. Please e-mail, phone or fax appeals of your own. You are welcome to cut & paste. 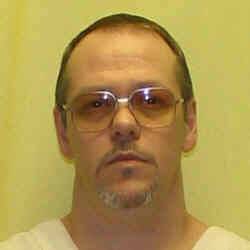 I ask you, Governor Kasich, to stop your state’s execution of Donald Palmer. Mr. Palmer is scheduled to be poisoned by the government of Ohio next Thursday, 09/20/12, for the 1989 murders of two men, Charles Sponholz and Steven Vargo, in a road rage incident. Mr. Palmer is bereft at the tragedy his actions have brought to the families of the victim’s. He confessed to committing this crime under the control of a fit of road rage, shooting the driver of the car with which he had a traffic accident and then killing the driver of a car who stopped to offer assistance. Donald Palmer is using your state government to accomplish ‘suicide by cop’. He has steadfastly refused to avail himself of further evaluation of the crime, including ignoring the request for an interview by your state’s clemency board. Governor Kasich, this case must be subjected to further scrutiny before you sacrifice a human life; Ohio cannot be complicit in Donald Palmer’s suicide. Please, Governor Kasich, stop this killing of Donald Palmer. If this execution goes forward, look around this country for the black armbands worn, and the church bells tolled, in protest of this injustice. I ask you, Governor Perry, to stop your state’s execution of Robert Harris. Mr. Harris is scheduled to be poisoned by the government of Texas next Thursday, 09/20/12, for the 2000 murder of two people at a carwash from which he’d been fired three days before. Robert Harris has not yet received his federally guaranteed fair trial. His trial attorneys presented not a single witness, nor did they mount any investigation of mitigating circumstances. Further, Mr. Harris is demonstrably mentally incompetent, having recently tested below 70 and earlier in his life at 71. Finally, an all-white jury was constructed by focused strikes of blacks during jury selection, a practice outlawed by the United States Supreme Court. Governor Perry, you must stay this execution to allow time for your state to catch up to the requirements of humanity and the laws of our land! Please, Governor Perry, stop this killing of Robert Harris. If this execution goes forward, look around this country for the black armbands worn, and the church bells tolled, in protest of this injustice.